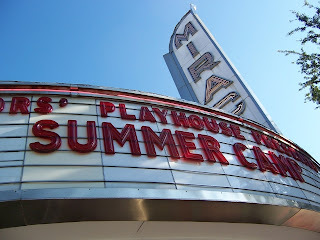 It used to be that theatre in South Florida curled up and died for the summer. Many theatres still do go 'dark' for the summer, as their audiences flee to cooler climes. Carnival Center is going dark to fight the red ink; they'll be back in the fall. Caldwell is moving. Others use the down time to clean up and make repairs. But there are theatres that have a strong support among the locals. These theaters brave out the soaring temperatures, the pounding afternoon rains, and the occasional wicked storm. 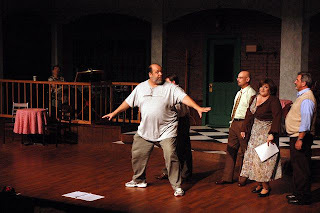 City Theatre goes so far as to concentrate its programing on Summer Shorts, a series of short plays. 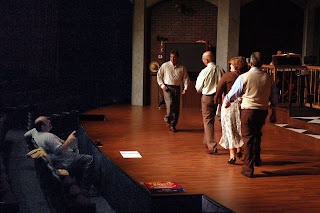 Florida Stage and Actors' Playhouse both stage smaller musicals that run through the summer. 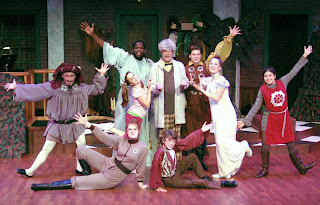 New Theatre does a Shakespeare festival. So as you seek out activities covered by climate control, don't forget live theatre.